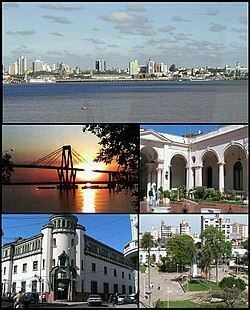 Corrientes (Guaraní: Taragüí, literally: "Currents") is the capital city of the province of Corrientes, Argentina, located on the eastern shore of the Paraná River, about 1,000 km (621 mi) from Buenos Aires and 300 km (186 mi) from Posadas, on National Route 12. It has a population of 328,689 according to the 2001 Census. It lies opposite its twin city, Resistencia, Chaco. It has a mix of colonial and modern architecture, several churches and a number of lapacho, ceibo, jacaranda and orange trees. It is also home to one of the biggest carnival celebrations in the country. The annual average temperature is 20 °C (68 °F), with maximum and minimum averages of 45 and 5 °C (113 and 41 °F) respectively. 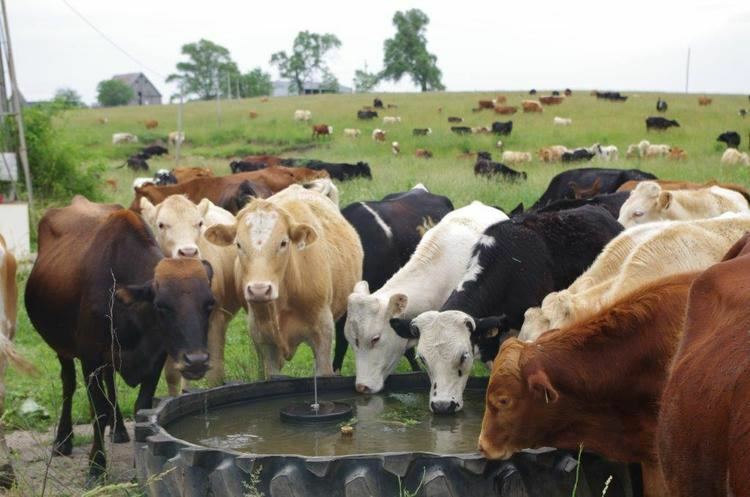 The annual rainfall is around 1,200 millimetres (47 in). The General Belgrano Bridge crosses the Paraná River that serves as the natural border with the neighbouring Chaco Province. On the other side of the bridge is Resistencia, capital of Chaco. To the west and up the Paraná, between Paraguay and Argentina, lies the Yaciretá dam, one of the largest hydroelectric power generators in the world. The Doctor Fernando Piragine Niveyro International Airport (IATA: CNQ, ICAO: SARC) at coordinates 27°26′20″S 58°46′03″W, 5 km (3 mi) away from the city, serves the city. The Ferrocarril Económico Correntino narrow gauge railway line to Mburucuyá operated from 1912 until 1927. The annual average temperature is 21 °C (70 °F), with maximum and minimum averages of 45 and 5 °C (113 and 41 °F) respectively. The annual rainfall is around 1,200 millimetres (47 in). The Köppen Climate Classification subtype for this climate is "Cfa" (Humid Subtropical Climate). Frosts are rare; with the dates of the first and last frost being July 5 and July 12 respectively, indicating that most of the year is frost free. The highest temperature recorded was 42.4 °C (108.3 °F) on November 15, 1985 while the lowest temperature recorded was −2.8 °C (27.0 °F) on June 15, 1979. The Graham Greene spy novel The Honorary Consul"' (1973) takes place in Corrientes.